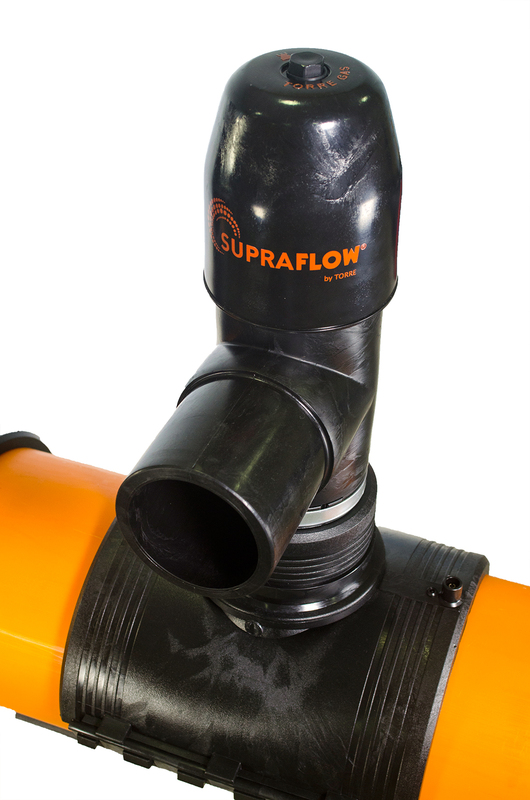 Supraflow® tapping tees are a unique solution for big flow branching for servicing, grid extension or by-pass installation. 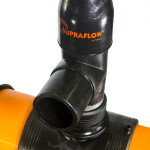 A specially designed drill cutter is housed inside Supraflow®: it is a minimal shavings cutter retaining both coupon and chips and leaving pipe clean. 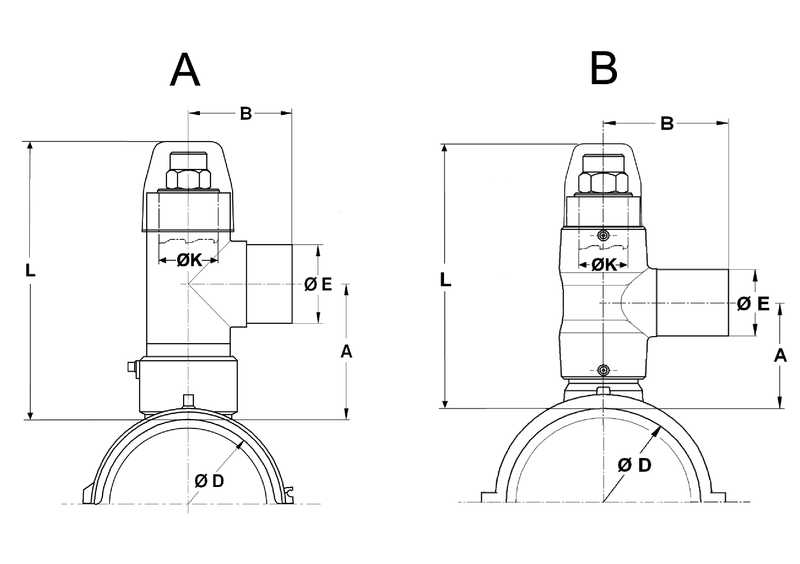 No other solution offers the possibility to live branching in large diameters in an easy and “intrinsically safe” procedure. Installation possible in very tight spaces. Almost no need for extra excavation. Lower public disturbance -> smallest excavation. Can be installed in any position. No impact on the pipe (no squeezing). Externally fully PE covered -> full environment protect. 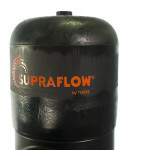 Supraflow® tapping tee is certified for pressure up to 10 bar. 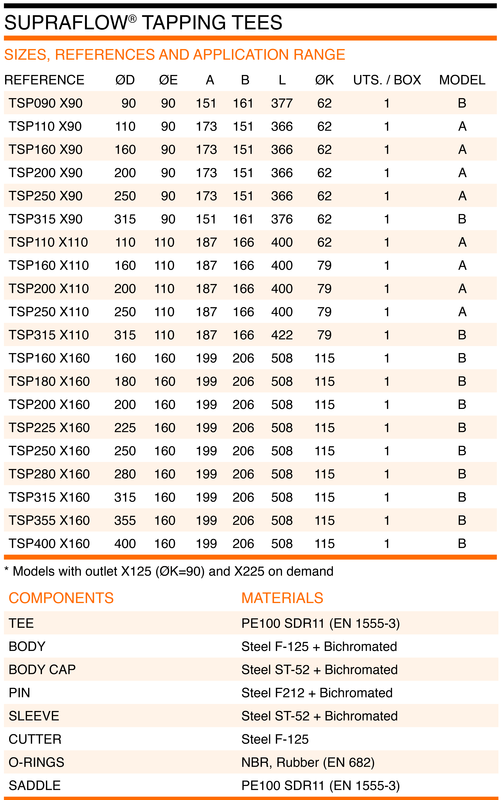 Outlets with diameters 90, 110, 125, 160 and 225 mm. 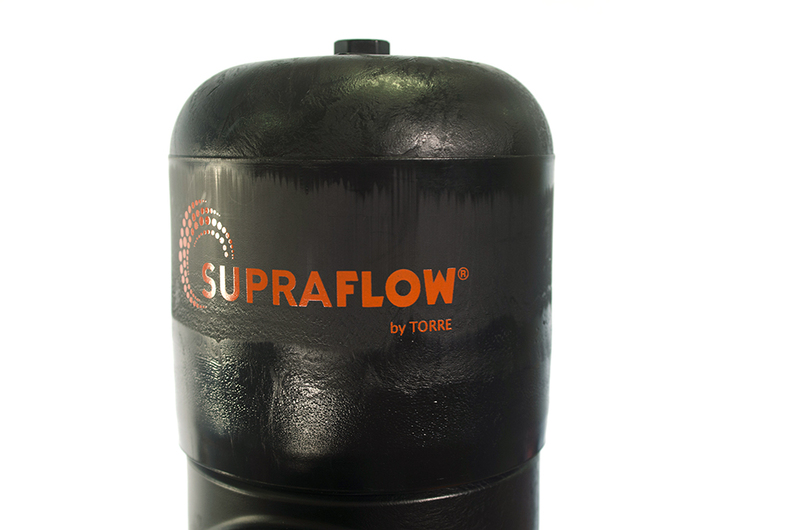 Installation is performed using Supraflow®equipment specially designed and manufactured by Grupo Torre. 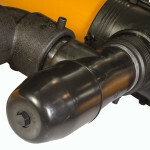 Supraflow®metallic head designed to be attached to the drilling equipment. The whole installation procedure is done under a ”zero leaks” environment. Manufacturing, assembly and testing follows strict quality standards specified by UNE EN ISO 9001. Supraflow® tapping tee is certified by GNF and ASTM, having succesfully passed all tests specified by ASTM D-2513 which represent the toughest testing set in the gas industry. 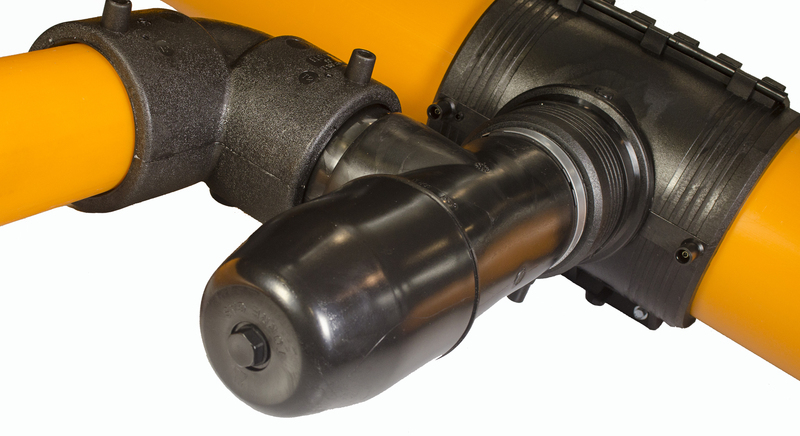 Mechanical coupling for the drilling head complies with UNE60405-1 and UNE60405-2 (corresponding to fixed links) equivalent to GIS/PL3 and ISO 10838. Accessories comply with UNE EN 1555-3.